Background of ‘Denials’ Claim denials are an inescapable problem for hospitals and health systems throughout the country. Revamping the claim denials process is at the top of most hospital CFOs’ minds. The denial rate represents the percentage of claims denied by payers during a given period. This metric quantifies the effectiveness of your revenue cycle management processes. A low denial rate indicates cash flow is healthy, and fewer staff members are needed to maintain that cash flow. How to calculate ‘Denial Rate’? Add the total dollar amount of claims denied by payers within a given period, and divide by the total dollar amount of claims submitted within the given period. Industry benchmark for ‘Denials’ The industry benchmark for medical billing denials is 2% for hospitals. Keeping the denial rate below 5% is more desirable. In medical practices, medical billing denial rates range from 5-10%, with better performers averaging 4%. Some organizations even see denial rates on first billing as high as 15-20%. For those providers, one out of every five medical claims has to be reworked or appealed. Rework success rates vary from 55-98%, depending on the medical denial management team’s capabilities. After all these efforts fail, the final write-offs range from 1-5% of Net patient revenue. In an average 300-bed hospital, 1% of net patient revenue can mean $2 million to $3 million dollars a year – significant by any standards. In addition, one out of every five medical claims has to be reworked or appealed and the Rework costs average $25 per claim. Managing the claim denials can increase your organization’s revenue and collections rate while improving patient satisfaction. Non-emergency services to be scheduled at least one day in advance. This will allow time to obtain prior authorization. 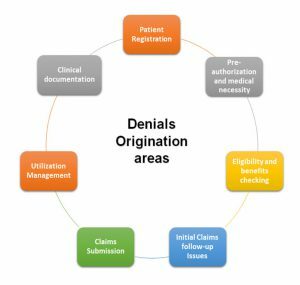 Organize the Denial management process: Ensure that you have an organized system to keep track of your Denials. Implement an Electronic Health Record (EHR) System: EHR system can verify patient eligibility in real-time basis and it is proven that implementing it, has helped in decreasing the denials significantly. EHR system also helps in quickly tracking the reason for denials and immediately file and appeal. Root cause analysis: Understand why the claims were denied in the first place. 80-20 rule: You can observe that 80% of the Denials happen because of few major reasons. If those can be controlled, majority of the Denials can be reduced. Categorize: Quantify and categorize Denials by tracking, measuring and reporting trends by payer, procedure, doctor and department. Task force: Create a team to analyze and prioritize the Denial trends. Payer negotiations: Work with payers to eliminate contract requirements that often leads to denials overturned on appeals. 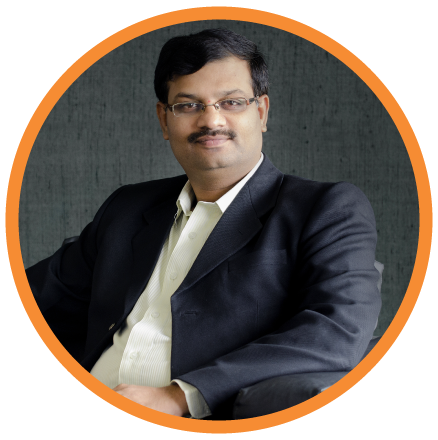 Jagan, a Project Management Professional (PMP) and Six-Sigma Green Belt Certified Professional, has more than 20 years of experience in leading teams, and providing process improvement ideas to Business users. His business acumen and strong expertise in understanding the processes helped the Clients with significant productivity and cost savings over the years. Currently, Jagan is working on providing Business Intelligence solutions, that enables the Clients for better decision-making, and building efficiency in the overall process.